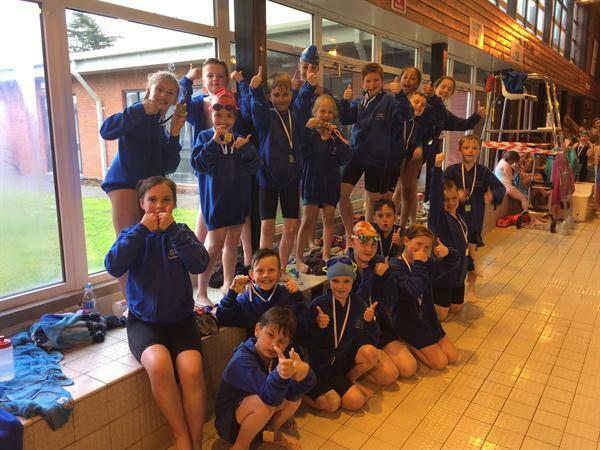 A huge team of 20 children from St Joseph's competed this afternoon in the local Burnham-on-Sea swimming Gala. The team made up of a selection of boys and girls from Year 2 through to Year 6 competed in true magnificent fashion against representatives from Churchfields, Brent Knoll, Woolavington and St Andrew's. The team finished in 2nd place and can hold their heads really high after a super performance from every member....you never know we may see some of these children competing in the Olympics in years to come! WELL DONE TEAM.